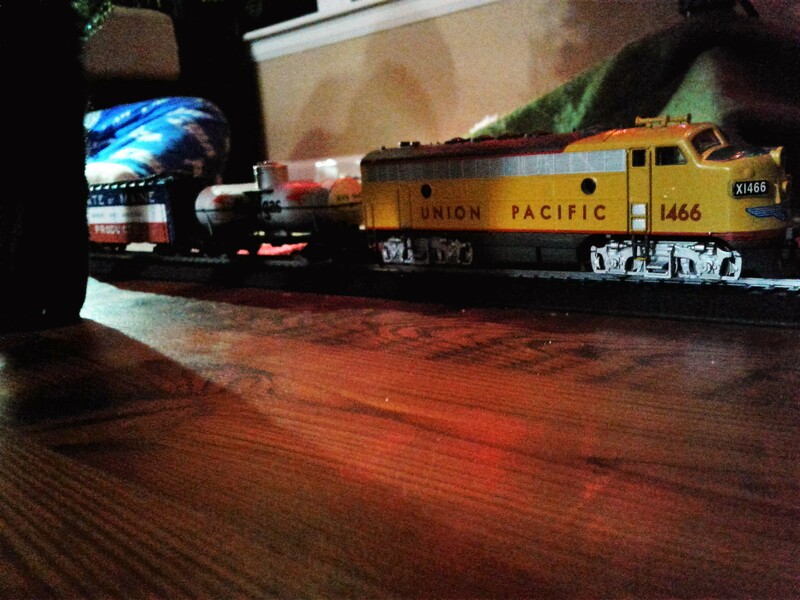 This week my family and I were decorating the house getting it ready for Christmas, and my job was to put the star on top of the tree and to put together the mechanical “Train” that goes under the tree. So first I tried it out, and it turned out great, but then slowly it went down hill. A piece came off the I could not put it back so I asked my dad if he could fix it but he did not have the right tools. So he said he could put it on tomorrow but didn’t because Sunday is football day, I hope he will get the piece on Monday. Then I put the track together wrong, so my dad helped me fix, so it went around the Christmas tree. Later I was trying to fix the mechanical part of the track and got cut, and I tried to get a bandage, but I had a lot to do so I waited till last light to get it. The new Pokemon Game called ‘Pokemon Sun and Moon’ just came out. The new game specializes in some new game material including riding Pokemon like Tauros and Charizard and a new concept called “Z-Moves.”That’s where your bond with your Pokemon is so strong, you come together and use a special move called a Z-Move power by a crystal now to get the crystal you have to beat a trial with different challenges. On Saturday night I got invited to a kids night out at the rec center. It was a great party for kids. I ate there, joined a dance contest, played dodge ball, and I participated in a ball flinging contest where we had to throw a ball with a plastic spoon into a pyramid of plastic cups. I also played the ruffle (a sort of lottery game), it was fun. I went with some friends, and even though the water slides were closed, we had a blast. Eventually later that night I tried to Unlock my phone but I used the wrong password, and it got disabled. So then I had to reformat it, but it wasn’t easy or quick. First I looked on YouTube, and I couldn’t find how to reformat a Samsung On 5, so then I searched Google, and fortunately it was there, it was linking to a page. I had to take the battery out then select the command then log in, and it took forever, but I was on my computer, so I could play games while it loaded. Eventually, it reset, but the train remains broken till further notice.